A crisis at India’s Jet Airways deepened on Tuesday as an increasingly worried government called for an emergency meeting, angry passengers demanded refunds and pilots threatened to go on strike over unpaid salaries. The Civil Aviation Minister, Suresh Prabhu, asked his officials to call for a meeting to discuss grounding of flights, advance bookings, cancellations, refunds, and any potential safety issues, at the cash-strapped carrier. Saddled with debt of more than $ 1 billion, Jet is struggling to stay aloft. It has delayed payments to banks, suppliers, pilots and lessors – some of whom have started cancelling their lease deals with the airlines. 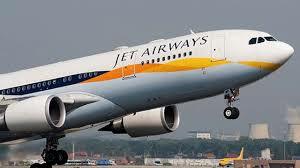 Several angry passengers were seen demanding pending refunds for cancelled flights at Jet’s offices in Mumbai earlier on Tuesday, a source told Reuters. The government has asked state-run banks to rescue the privately held airline without pushing it into bankruptcy, as Prime Minister Narendra Modi seeks to avert thousands of job losses weeks before a general election, sources have said. The DGCA said with the current fleet Jet is likely to operate only about 985 flights a week or 140 flights a day – down from an average of about 650 flights a day in March 2018. If you understood a business perfectly and the future of the business, you would need very little in the way of a margin of safety. So, the more vulnerable the business is, assuming you still want to invest in it, the larger margin of safety you’d need.